The family members of six people killed in a tragic plane crash are mourning those lost, as NTSB investigators work on determining exactly what caused the crash. 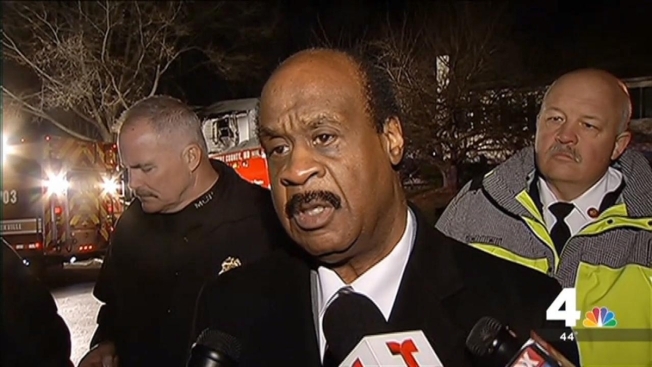 A private jet crashed in a Gaithersburg, Maryland, neighborhood Monday, killing all three men aboard, as well as a mother, her newborn and her small son inside a home that caught fire from the crash. Marie Gemmell, 36, died on the second floor of her home cradling her sons, 7-week-old Devin and 3-year-old Cole. "No words can describe the enormity of our loss and sadness over yesterday’s tragedy," Marie's husband, Ken, posted on Facebook Tuesday. "We lost Marie, the love of my life and college sweetheart, and our two young, innocent and joyful sons -- a loss that no person should ever endure." The Gemmells' 5-year-old daughter was not home at the time of the crash. "There will be a lot of grieving over the coming weeks, and we request that the media respect our privacy so I can provide my daughter with some degree of normalcy as we try to re-build," Ken Gemmell's Facebook post read. As of 12:20 p.m. Wednesday, Good Samaritans nationwide helped raise more than $337,000 for the Gemmell family through a GoFundMe page. Damage to their home was estimated at more than $400,000. Family friend Jill Lyons organized a donation center at Kid's Town Learning Center on Waring Station Drive in Germantown. "Donations of clothing and toys have just been pouring in. What they're really looking for are gift card donations; quick-serve restaurants, coffee, Rite-Aid, CVS, Wal-Mart," Lyons said. Meanwhile, friends and strangers alike dropped off mementos and flowers at the crash site. "As soon as you drive by it, that's when you just feel it, that's when it hits you and you just break down in tears," neighbor Ariella Rice said. The three men aboard the plane have been identified as Michael Rosenberg, the 52-year-old CEO of a North Carolina-based biopharma corporation; 66-year-old David Hartman, a vice president at a pharmacology consulting firm; and 31-year-old Chikioke Ogbuka. They were from Raleigh, North Carolina.